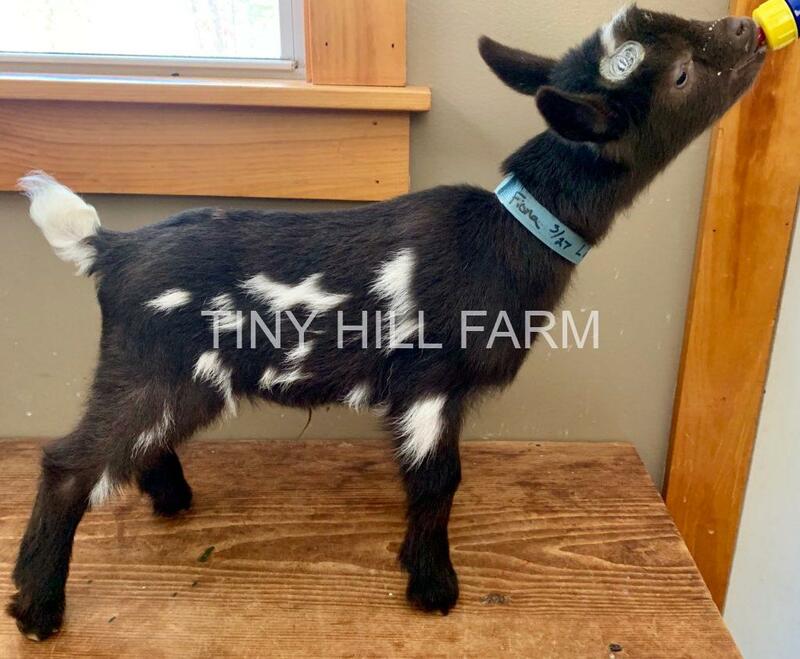 Below is a listing of the Nigerian dwarf dairy goats we currently have available for sale. All are ready to go now. They can be reserved with a $100 non-refundable deposit. We offer on farm pick up. Our farm is located in Milton Mills, NH. We will also ship our goats via air, or reputable ground shipping. The buyer must pay for the cost of the goat, all shipping charges, and a transportation fee. We have a clean and tested herd. You can see our annual test results here. 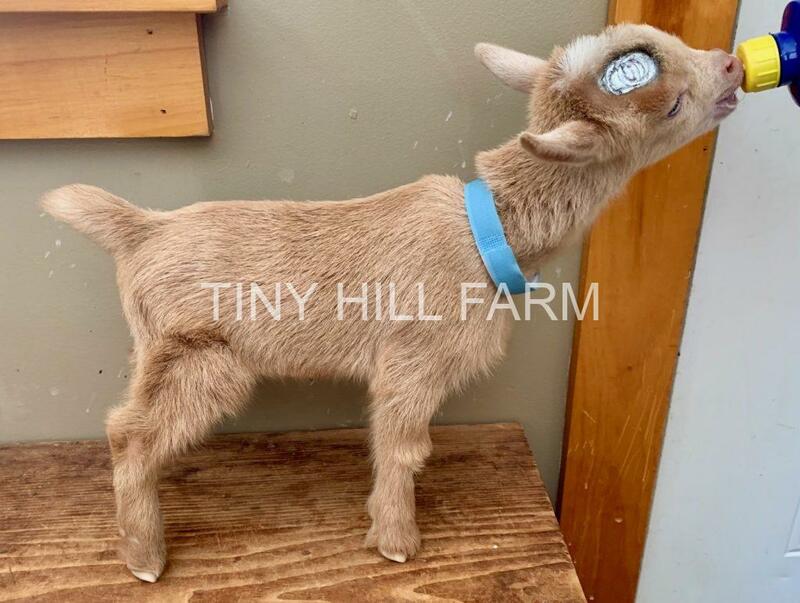 Please contact us if you are interested in any of our goats or if you have any questions. 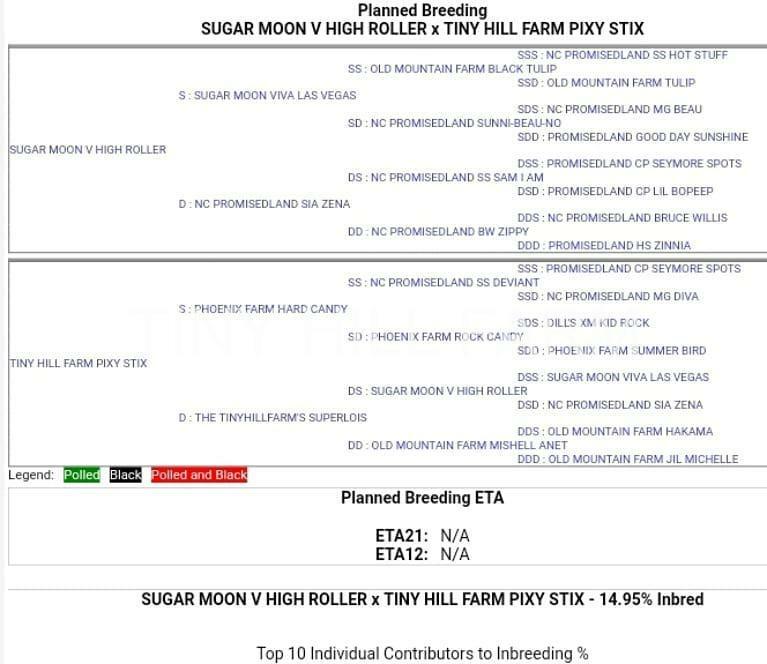 Tiny Hill Farm Pixy Stix 7*M 2nd fresh udder. Dam of buckling for sale. None at this time. Please contact us if you would like to be placed on our doeling waiting list. None at this time. We will have more does in milk available in May. Please contact us if you would like to be placed on our does in milk waiting list. We expect to have many adorable wethers available for sale. They are sold as bottle babies at about 2 weeks of age. They are $200 each. Please contact us if you would like to be placed on our wether waiting list. 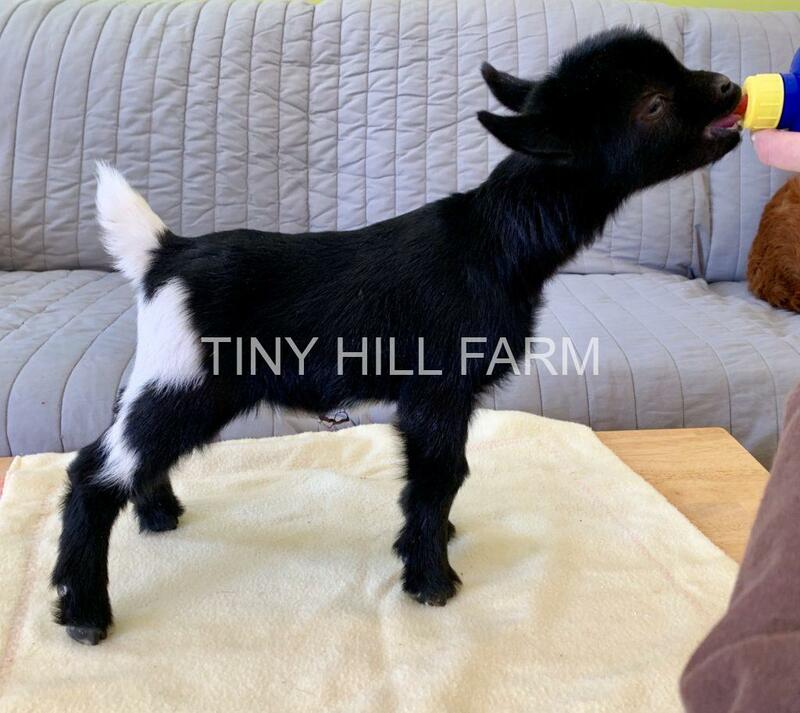 We focus on breeding top quality Nigerian dwarf dairy goats with excellent milking potential and great personalities. Our goats are ADGA registered, up to date on all vetting, and tested for CL, CAE, Johne’s, TB, and brucellosis. You can see current copies of our test results here. We practice strict biosecurity, and our herd benefits from a lack of respiratory disease. We participate in DHIA milk test and ADGA linear appraisal. 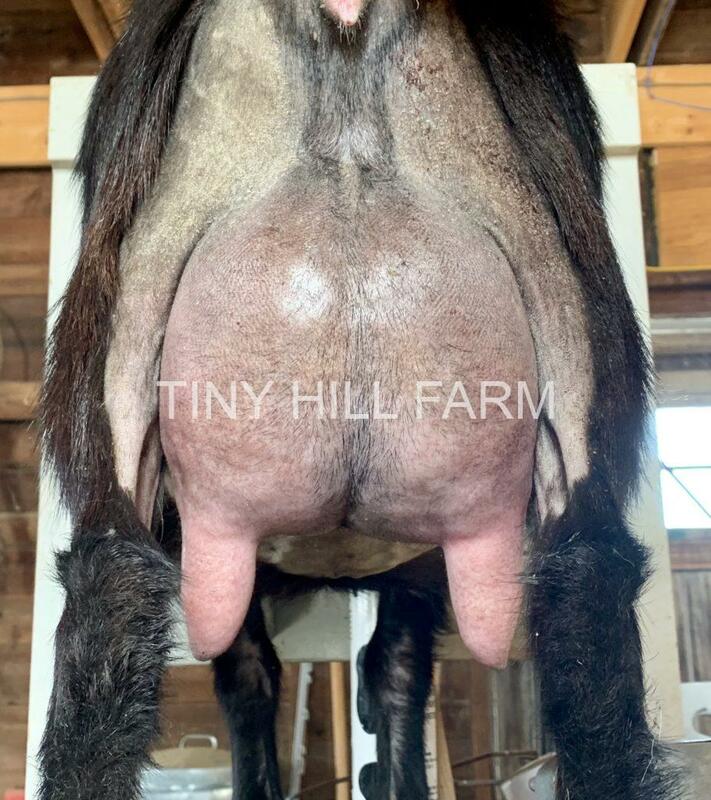 We have goats that are on ADGA’s Elite lists, Young Sire Development Program rankings, have earned Superior Genetics awards, multiple generations of milk stars, and have come very close to Top Ten milk production rankings. In addition to milk production and udder quality, we also focus on breeding beautiful goats with sweet and friendly personalities. Please contact us if you are interested in any of our goats or if you have any questions. Thanks so much for reading!